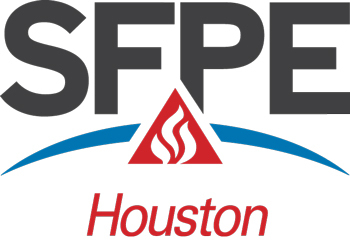 The name of the organization shall be the “Houston Chapter of the Society of Fire Protection Engineers” and is herein referred to as the Chapter. The Chapter is chartered by the Society of Fire Protection Engineers, a not-for-profit corporation, herein referred to as the Society. The objectives of the Chapter shall be to promote the science of fire protection engineering and its allied fields, to maintain a high ethical standard among its members, to foster fire protection engineering education, and to educate the community about the cause and prevention of fire. The Chapter shall not speak for the Society of Fire Protection Engineers on any local or national matter without specific written authorization of the Society. The Chapter and its members shall abide by the Constitution and By-Laws of the Society. Chapter actions shall avoid conflict in those areas, which are clearly within the scope of the Society at the national level. In case of doubt, the national headquarters secretary should be consulted. Chapter members shall not place the Chapter in the position of giving fire protection engineering advice, either as an organization or by representation in the name of the organization, consistent with the objectives of the Society. Membership in the Chapter shall be open to individuals who are Fellows, Members, Associates, Affiliates, Allied Professionals, Student Members or Honorary Members of the Society of Fire Protection Engineers. Membership shall include individuals residing or working in the general area of . The Chapter encourages and accepts the support and participation in Chapter activities of individuals in fire-related fields of endeavor and interest who are not members of the Society. The Chapter will accord them the courtesies of regular Chapter publications and participation in meetings and other Chapter events upon payment of annual dues. Society by-laws prohibit anyone who is not a member of the Society from referring to membership in the Society or a local chapter in any printed or published materials. All applications for Chapter Membership shall be submitted to the Executive Committee, who shall confirm the applicant’s membership status in the Society of Fire Protection Engineers. Following confirmation of the applicant’s membership status in the Society, the applicant shall then be notified of his Chapter membership, which shall be duly entered in the Chapter records by the Secretary upon payment to the Annual Dues. Except for Student Members, all members shall have voting privileges. Each member shall be entitled to one vote in the affairs of the Chapter. Any member who becomes ineligible for not upholding the Canons of Ethics for the Society of Fire Protection Engineers shall forthwith be suspended by action of the Executive Committee. Reinstatement may be made at the discretion of the Executive Committee if the condition is remedied. Officers of the Chapter shall be a President, Vice President, Immediate Past President, Secretary and Treasurer. With the exception of the Immediate Past President, officers shall be elected by the Chapter Members at the Annual Business Meeting and hold office until their successors are elected and qualified. All officers shall serve without salary. There shall be an Executive Committee including the President, Vice President, Secretary, Treasurer, Immediate Past President and four members elected by the Chapter for a term of one year. The President and a majority of the Executive Committee shall hold the grade of Fellow, Honorary member, Member or Associate in the Society. The President and Vice President shall not serve for more than two consecutive terms in any one elective office. Vacancies in office may be filled, until the next election, by majority vote of the Executive Committee. The Chapter shall indemnify any person, his executor, administrator and heirs, who has served or is serving as an Officer or employee of the Chapter, against expenses actually and reasonably incurred by him in connections with the defense of any action to the extent permitted by law, upon determination by the Executive Committee or by a majority of the Members of the Chapter, that the indemnification is proper in each specific case. The right of indemnification shall not be exclusive of other rights to which any Officer or employee may be entitled as a matter of law. A nominating Committee consisting of three members shall be appointed by the President and approved by the Executive Committee. It shall be the Nominating Committee’s duty to prepare a list of nominations for all Officers and members of the Executive Committee 30 days in advance of the Annual Business Meeting. Elections will take place at the Annual Business Meeting. The provisions of Sections V-2 shall not preclude additional nominations from the floor preceding the voting at the annual Business Meeting. No member shall be eligible for election to any office unless his name shall have been submitted to the Secretary on or before the Annual Business Meeting. It shall be the duty of the President to preside at all meetings and perform other duties usual to the office. The President shall call meetings of the Executive Committee as considered necessary or by request of three or more members of the Committee. The President shall appoint the committees provided for in Article VIII, subject to majority approval of the Executive Committee. If for any reason the President is not available, the Vice President shall have the powers and prerogatives of the President. It shall be the duty of the Secretary to record all official actions of the Chapter, and to perform the duties usual to the office of the Secretary. The Secretary shall keep a register of the members of the Chapter and issue all notices of meetings. At least annually the Secretary shall submit a membership list, minutes of the meetings, and other pertinent information to the Secretary’s position. It shall be the duty of the Treasurer to maintain all financial records of the Chapter, to collect dues, to dispense checks for expenses, to prepare an annual budget, to prepare a current financial statement for each regularly scheduled Chapter Meeting, and to perform other duties usual to the office of Treasurer. The President and Vice President shall be the Chairman and Vice Chairman respectively of the Executive Committee. It shall be the duty of the Executive Committee to formulate the policies of the Chapter and perform such other duties as may be prescribed by the Constitution and By-Laws. The Executive Committee shall meet at least quarterly, but may meet as often as necessary or desirable at the discretion of the Chairman. A majority of the Executive Committee shall constitute a quorum at any meeting of the Executive Committee. The Chapter’s fiscal year shall begin on the first day of May, and end on the last day of April in each year. An annual budget for each fiscal year shall be prepared by the President and the Treasurer, and presented to the Executive Committee for its approval at least thirty (30) days prior to the end of the fiscal year. Thereafter, at any meeting of the Executive Committee, the Executive Committee may approve any supplement budget. The President shall supervise all expenditures made on behalf of the Chapter. The officers shall not make aggregate expenditures in excess of the approved budget without prior approval of the Executive Committee. The Executive Committee may authorize any Officer or Officers, agent or agents, to enter into any contract or execute and deliver any instrument in the name of an on behalf of the Chapter, and such authority may be general or confined to specific instances. The Chapter shall in no way incur financial or contractual obligations upon the Society without full written approval of the Board of Directors of the Society. Chapter members who fail to pay their dues when payable or within sixty days thereof shall be forthwith suspended. The annual dues of each Member shall be determined by the Executive Committee. Dues shall be payable upon acceptance of application for new members and on or before April 30 of each calendar year thereafter. Those who fail to pay dues within sixty (60) days of the deadline shall be suspended from membership in accordance with Article III, Section III-5. Persons becoming Chapter members on or after November 30 shall be exempt from the payment of Chapter dues for the current fiscal year. Upon reaching the age of sixty-five, and having been an SFPE member in good standing for at least ten years, a Chapter member is exempt from any further assessment of annual Chapter dues. The Chapter shall use its funds only to accomplish the objectives and purposes specified in these By-Laws, and in the event of dissolution, the Society will receive the remaining monies after all outstanding bills and debts are paid. Committees as described in this Article may be appointed by either the President or a majority of the Executive Committee. Each committee shall have a Chairman and Vice Chairman, except that at the discretion of the Chairman, the appointment of a Vice Chairman may be waived. The Vice Chairman shall serve as an alternate to the Chairman, and assist the Chairman in the performance of the Chairman’s duties. Committee Chairmen shall report at each Executive Committee meeting, either in person, or in absentia. This committee shall recommend appropriate topics and speakers for Chapter meetings, procure qualified speakers for presentation of subjects and information, and establish and maintain a list of Chapter member volunteers who are qualified by experience to give talks on fire protection subjects at meetings of other organizations. This committee shall edit and publish the Chapter newsletter at least four times a year and maintain liaison with the Publications Committee of the Society. This committee shall establish and maintain personal contacts with local mass communications media, including newspapers, insurance industry publication and safety publications. this committee shall promote fire protection engineering courses at local colleges and universities. It shall encourage members to elevate their professional status, through advice on advanced formal education and engineering registration. This committee shall keep abreast of new developments, products and applications in the fire protection field, disseminating such information promptly to the Chapter members. This committee will keep abreast of proposed state and local legislation of fire safety and engineering matters and advise the Executive Committee for possible action. This committee shall advice the Executive Committee on all matters relating to the Society and Chapter By-Laws and Policy. The committee shall prepare amendments to these By-laws for review and adoption by the Executive Committee and the Chapter membership. There shall be not less than four meetings held in each fiscal year. The April meeting shall be known as the Annual Business Meeting. The Executive Committee shall notify the membership at least ten (10) days prior to any scheduled Chapter meeting. Meetings shall be called by the President or by written request of not less than five Members of the Chapter to the Secretary. At the Annual Business Meeting, the retiring President shall present to the Chapter members an annual report reviewing the activities of the Chapter during the past fiscal year, and in addition, report the following: Receipts and Disbursements during the fiscal year, and Assets and Liabilities at the end of the fiscal year. The President shall submit a copy of this annual report to the Secretary of the Society of Fire Protection Engineers within thirty days after the Annual Business Meeting. In order to transact business at any meeting of the Chapter, there shall be at least 10 members present. At the discretion of the President, Robert’s Rules of Order may govern the transaction of business in all meetings unless inconsistent with these articles. These articles may be amended at any regular meeting where a quorum is present, by a two-thirds vote of the members present. Proposals for amendments shall be submitted in writing to the Executive Committee for compatibility with Society Constitution and By-Laws. If the proposed changes are found to be compatible, the Secretary shall distribute the proposed changes to the membership for review. The proposed changes shall be distributed to the Chapter membership at least 30 days in advance of the meeting at which the amendments are to be voted upon. The waiting period may be waived upon approval of the Executive Committee and a majority of all members of the Chapter. All changes in the Constitution and By-Laws shall be submitted to the Board of Directors of the Society. No amendment shall be in force until it is approved by the Society Board of Directors. The By-Laws shall be reviewed by the Executive Committee at fire year intervals and shall be amended as needed.